1. 40% off coupon at Borders. 2. I love to cook Mark loves to cook. Oh rats, I didn't use my 40% off coupon this time. 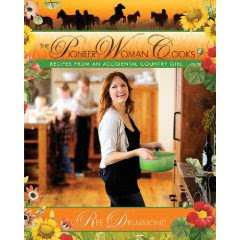 I never thought about Ree's cookbook! You've got a winnner (or weiner) there! Do you think we can con mark into making the sholace onion fries (or whatever theyre called I saw them on her blog and mmm they looked good!